If you are very deceitful, then you will have a guarded heart and thoughts of suspicion regarding all matters and all men. For this reason, your faith in Me is built upon a foundation of suspicion. This manner of faith is one I shall never acknowledge. Lacking genuine faith, you will be even further from real love. And if you are able to doubt God and speculate about Him at will, then you are beyond doubt the most deceitful of men. All who believe in God yet do not pursue the truth have no way of escaping from the influence of Satan. All those who do not live their life with honesty, who behave one way in front of others but another way behind their backs, who give an appearance of humility, patience, and love while in essence they are insidious, cunning, and have no loyalty to God—these people are the typical representatives of those living under the influence of darkness. They are the ilk of the serpent. You put on a false front for others to see and you calmly assume an air of self-righteousness; this is done to shield yourself. You do this to conceal your evil, and even look for ways to push that evil onto someone else. What treachery dwells in your heart! Later, on the road ahead, you must not create artifice or engage in deception and crookedness, otherwise the consequences will be unimaginable! You still do not understand what deception and crookedness are. Any actions or behaviors which you cannot let Me see, which you cannot bring out into the open are deception and crookedness. Now you should understand this! If you engage in deception and crookedness in the future, do not pretend to not understand, that is just to knowingly do wrong, to be even more guilty. This will only lead to you being burnt by the fire, or even worse, ruining yourselves. Some people are always waving the flag of the church no matter what they do; the truth is that this is for their own benefit. That kind of person does not have the right kind of motive. He is crooked and deceitful and most of the things that he does are to seek his own personal benefit. That kind of person does not pursue loving God; his heart still belongs to Satan and cannot turn toward God. God has no way to obtain that kind of person. You ought to know that God likes an honest man. God has the substance of faithfulness, and so His word can always be trusted. Furthermore, His actions are faultless and unquestionable. This is why God likes those who are absolutely honest with Him. 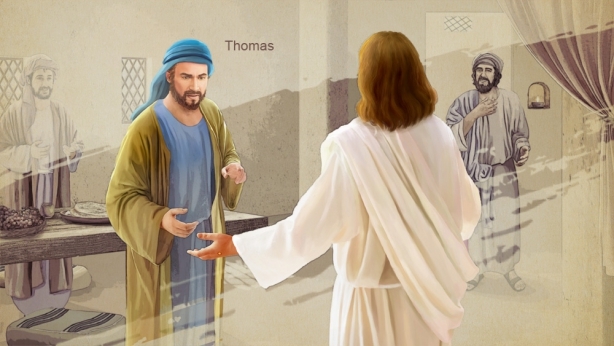 … You should know whether there is true faith and true loyalty within you, whether you have a record of suffering for God, and whether you have wholly submitted to God. If you lack these, then there remains within you disobedience, deceit, greed, and complaint. As your heart is far from honest, you have never received positive recognition from God and never lived in the light. How one’s fate will work out in the end hinges upon whether he has an honest and blood-red heart, and whether he has a pure soul. If you are someone who is very dishonest, someone with a heart of malice, and someone with an unclean soul, then the record of your fate is certainly in the place where man is punished. If you claim to be very honest, and yet never manage to act in accordance with the truth or to speak a word of truth, then are you still waiting for God to reward you? Do you still hope for God to regard you as the apple of His eye? Isn’t this a preposterous way of thinking? You deceive God in all things, so how can the house of God accommodate one such as you, whose hands are unclean? “If you are very unwilling to lay bare your secrets—that is to say, your difficulties—before others so as to seek the way of the light, then I say that you are one who will not receive salvation easily and who will not easily emerge from the darkness.” Here God has granted humans a path of practice, and if you do not practice in this way, and merely shout slogans and doctrines, then you are someone who will not receive salvation easily. This is indeed linked to salvation. Being saved is very important to each and every person. Has God referred to this anywhere else? Elsewhere, He seldom refers to the difficulty of being saved, but He does speak of it when talking about being honest: If you do not act in this way, then you are someone who is very difficult to save. “Not receiving salvation easily” means it is difficult for you to be saved and you are incapable of taking the right track to salvation, and so it is impossible to save you. God says this in order to give people some leeway; that is to say, you are not easy to save, but on the other hand, if you put God’s words into practice, there will be hope for you and you can be saved. If you do not put God’s words into practice, and if you never dissect your own secrets or difficulties, or never tell anyone these private things or open up to people about them, never commune with people about them, or dissect them with people in order to lay yourself bare, then there’s no possibility of you being saved. And why is that? If you do not lay yourself bare or dissect yourself in this way, your corrupt disposition will never change. And if you are unable to change, you can forget about being saved. This is what God means in saying these words, and this is God’s will. Why has God always emphasized that people should be honest? Because it is so important, and it directly relates to whether or not you can be saved. … God wants people who are honest. If you aren’t pure—if you’re treacherous, crooked, and insidious—then you are not an honest person, and if you aren’t an honest person, there’s no chance that God will save you, and you cannot possibly be saved. In Me everything is righteous and there is absolutely no unrighteousness, no deceit, and no crookedness; whosoever is crooked and deceitful must be a son of hell—must be born in Hades. In Me everything is overt; whatever I say to accomplish is accomplished and whatever I say to establish is established, and no one can change or emulate these things because I am the one and only God Himself. God does not make those who are deceitful perfect. If your heart is not honest, if you are not an honest person, then God will never gain you. You, too, will never gain the truth, and will be incapable of gaining God. If you can’t gain God, and you don’t understand the truth, then it means that you are hostile to God, you are incompatible with God, and He is not your God. And if God is not your God, you cannot attain salvation. If you cannot attain salvation, you will forever be a bitter enemy of God, and your outcome is determined. Deceitful people not only deceive others, but also treat God deceitfully because that is their nature. We can see their nature from the attitude that deceitful people hold toward the word of God: They always harbor doubts about the word of God, and they do not believe it. On this point, deceitful people and honest people are entirely different. Honest people are particularly guileless. They believe whatever God says, obey whatever God says, and do just as God requires. God therefore likes honest people and blesses honest people; it is easiest for honest people to gain the work of the Holy Spirit. A deceitful person is the complete opposite. Regardless of what God says, a deceitful person is always suspicious that it is a device, that it is wisdom, so they are unable to easily accept it and practice it. Deceitful people not only have doubts about the word of God, but they are also adept at studying God’s work. They always try to guess at God’s true motives so that they can make a deal. Obviously, deceitful people are most skilled at bartering. Their philosophy is the philosophy of bartering, the philosophy of not taking a loss. They have even tried to make a deal with God regarding their faith. They are always brooding over whether they will be blessed or cursed in their faith, and are even more anxious about whether they are people of God or service-doers. They are constantly calculating, and any day that they can’t find clarity on this issue is a day they won’t settle down to seek life. Deceitful people are cunning foxes, and the most cunning of all people. For this reason, God hates deceitful people most, and He is unwilling to expend more effort on them or speak to them anymore. Deceitful people are always nitpicking in their approach to the words of God; they investigate His words in search of logic flaws and grounds for argument. Because deceitful people approach the words of God with an attitude of doubt, rebellion, resistance, and disbelief, they utterly lack the work of the Holy Spirit. They do not attain even a speck of enlightenment when reading His words, appearing exceptionally absurd and clumsy. In fact, there are absolutely no contradictions in God’s words, yet they seek to find many places of contradiction and get themselves into trouble. This particularly shows their pitiable lack of enlightenment from the Holy Spirit and of spiritual understanding. From the attitude with which deceitful people approach the word of God, we can see that their nature is unmistakably a satanic nature that resists God. All those who approach the word of God with an attitude of doubt and disbelief are essentially deceitful people who undoubtedly will gain no truth from God’s words, and will only end up being eliminated. Previous：What is an honest person? Why does God like honest people? Next：What is the difference between an honest person and a deceitful person?